This paper toy is the Spidey, based on the Marvel Comics Spidey Super Stories, the papercraft is created by Jalokx Sitompul. Spidey Super Stories is a live-action, recurring skit on the PBS children’s television series The Electric Company. 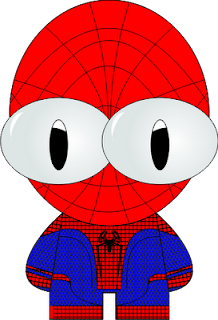 Episodes featured the Marvel Comics character Spider-Man, provided to the Children’s Television Workshop free of charge, and was played by puppeteer and dancer Danny Seagren. It premiered during the premiere of The Electric Company’s fourth season, show 391.